French/Chinese comedian Frederic Chau, star of hit Gallic comedy “Serial Bad Weddings,” and popular Egyptian thesp Ahmed el-Fishawy (“Cairo 678”) will topline fresh Luxembourg and Egypt-set pic “Sawah,” an ambitious dramedy with cross-border potential being touted as the first co-prod between Egypt and Luxembourg. As previously announced, Luxembourg-based Egyptian director Adolf El Assal (“The Notorious Guys”) will direct the pic about an Egyptian student torn between living in Egypt or Europe during the Arab Spring. El Assal previously directed French comedy “Les Gars” (“The Notorious Guys”) about a bunch of young misfits on a bizarre road trip to Portugal. The storyline sees a young vegetarian pacifist DJ named Samir leave Alexandria at the onset of the Egyptian revolution to play the gig of lifetime in Berlin. Due to a mix up involving a fake passport he then lands in Luxembourg where he is sidetracked by several characters including a small time hustler, a cop, and a band of angry Gypsies. The screenplay is by U.S-scribe Dennis Foon (“Life, Above All”). Plan is for cameras to start rolling in September in Luxembourg and then in Egypt on “Sawah” which is being mounted as a co-prod between Luxembourg-based Wadi Films, set up by the director, and Cairo-based shingle The Producers known for fresh fare including “Blair Witch”-like Egyptian chiller “Warda.” “Sawah” is supported by Film Fund Luxembourg. Innovative Arab film distribution and promotion company Mad Solutions will distribute “Sawah” theatrically in the Arab world. (JB) A Luxembourg movie maker will be walking down the red carpet at this year’s Oscar’s after “Chau, beyond the lines” was nominated for a coveted award. Produced by Luxembourger Jerry Franck and directed by his wife, Courtney Marsh, the 2015 film follows Chau, a 16-year-old boy living in a Vietnamese camp for young people with disabilities caused by exposure to Agent Orange. The moving documentary follows Chau’s dreams of one day becoming a professional clothing designer while battling against prejudice. “We had always hoped for such a thing, but that it would become a reality was simply unthinkable. We knew that the film could have a chance, but there is also a lot of competition,” Franck told the Luxemburger Wort in an interview. The 29-year-old, who went to school in Luxembourg City and studied filmmaking in Columbia College, in the US, said that the nomination in itself was the “biggest success in our careers so far,” and will help to bring the film to a wider audience. Thusfar the film has been screened at a number of festivals and cinemas in the US. It was awarded the Grand Jury Award at the Austin Film Festival. The film was one of five nominated for an Oscar in the short documentary category, the winner of which will be announced at an official ceremony on February 28. Desom’s latest project Holograma is a series of sculptural video installations inspired by early methods of optical theater, or Theatre Optique, a projected image technique developed by French inventor Charles-Émile Reynaud in the late 19th century. In his modern renditions, Desom brings new life to the optical theater while paying homage to Reynaud’s famous moving picture shows such as Pantomimes Lumineuses. 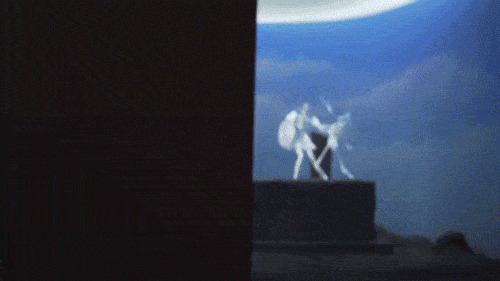 Desom employs a rotoscoping editing technique commonly used for stop-motion films, where he outlines on-screen characters from television and film, traces their body movements, effectively cropping silhouettes out from a scene, and then converting them into a 3D holographic projection. Desom recreates iconic scenes from film and television by projecting his holographic characters onto a miniature model of the set they were taken from, built by his partner Oli Pesch. Desom and Pesch constructed a set of five boxes in Holograma that feature a selection of recognizable footage, from the Big Lebowski to Twin Peaks. Christian Neuman’s “The End of Everything as You Knew It. A Guide” wins Best Experimental Film at Lisbon International Film Festival. Congrats! Après l’aide à l’écriture , la finale de la bourse TV Lagardère, le projet de série “Communautés” co-écrit par Marie-Sophie Chambon et Frédéric Zeimet vient d’obtenir l’aide à la réécriture du Fond d’aide à l’Innovation du CNC. Ils profitent de l’expérience et du soutien d’Olivier Kohn (créateur de “Reporters” et scénariste de “Le Tunnel” et “Odysseus”) pour la poursuite de leur travail. The Film Fund Luxembourg is celebrating its 25th anniversary this month – a quarter of a century dedicated to supporting film and audiovisual production, during which nearly €410 million were allocated to 600 audiovisual works (across several formats). 1990-2015 was also a period during which the Grand Duchy saw its professionals grow stronger, embarking on a growing number of international co-productions and building up a vibrant animation sector – all of which took place against the backdrop of a national film body, which proved to be both an attentive supervisor and a key supporter of the industry. The Film Fund’s selective production schemes are open to local professionals applying with projects in various formats and genres: animation, short films, documentaries, feature-length fiction films and – since 2014 – transmedia projects. The Film Fund’s budget increased over the years, and in 2014, it was able to boast a total of €39,679,352, which was used to back 22 projects in development and 37 titles in production (mostly co-productions). The selected projects included, among others, the Cannes 2015 entry The Brand New Testament by Jaco van Dormael and Mammal by Rebecca Daly, which will compete at the upcoming Sundance Film Festival. Turning 25, it’s time to ask what’s in store for the years to come. The Film Fund recently hosted the second Assises du cinéma luxembourgeois (“Meeting on Luxembourgish Cinema”), at which approximately 100 professionals gathered to discuss several aspects of the industry. Although no official decisions have been made yet, a number of proposals and new points of view have been brought to the table. Film support is, unsurprisingly, the organisation’s main concern. 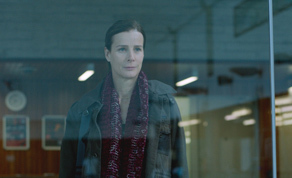 Over the years, Luxembourg has been particularly active, taking part in minority co-productions with its neighbours Belgium, the Netherlands, Germany and France. This type of project is not likely to be neglected in the future, but it is probable that the focus could be switched to investment in projects initiated by local talents. Given the rising number of companies applying to the fund, local producers suggest reducing the maximum amount that can be allocated to any given project. Such a measure would contribute to maintaining the diversity of the production. Quality, rather than quantity, must prevail, however. There is also the possibility of introducing a new slate-funding scheme, in parallel with the current selective schemes. Furthermore, promoting local talents – including actors – abroad is set to continue, as is the search for potential new partnerships. Regarding visibility and the exhibition sector, measures need to be reinforced in order to ensure that a wide range of local titles are on offer throughout the country. A promotional portal is also expected to be instigated by the Film Fund, and so is a VoD platform developed by the Filmakademie. Training and life-long learning will also be important topics, with a particular focus on new technologies and special attention being paid to scriptwriting. Lastly, synergies need to be reinforced between the industry’s different key players and institutions such as broadcasters ARTE and RTL Group, as well as the videogame sector. All of this input serves as a testament to the motivation of an industry whose commitment is inversely proportional to the country’s size. There is certainly much more to come from Luxembourg over the next 25 years, at least! Eng nei Zäit sélectionné à Max Ophüls! Nous avons le plaisir d’annoncer que le film « ENG NEI ZÄIT » réalisé par Christophe Wagner a été sélectionné en compétition officielle au 37e du festival MAX OPHÜLS PREIS qui se tiendra à Sarrebruck du 18 au 24 janvier 2016. Après 23 ans d’absence de film luxembourgeois dans le concours officiel, le deuxième long métrage de Christophe Wagner sera en lice pour le PRIX MAX OPHÜLS. Révéler les nouveaux réalisateurs, tel est l’enjeu premier du Festival qui propose chaque année une sélection officielle d’une centaine de premières oeuvres. Le festival MAX OPHÜLS PREIS a acquis une grande renommée dans le paysage des festivals germanophones. Consacré aux premiers films, il constitue une plateforme considérable pour les nouveaux talents. « ENG NEI ZÄIT » est sorti au Luxembourg 14 octobre 2015. Depuis, il a accueilli 15 000 spectateurs et demeure toujours à l’affiche. Inspiré de faits réels, ENG NEI ZAIT raconte l’histoire de Jules qui rentre chez lui en 1945 après avoir combattu dans le maquis français. Il essaye de reconstruire sa vie dans un pays ravagé par quatre ans de guerre. Quand sa fiancée est retrouvée assassinée avec une famille de fermiers allemands chez qui elle travaillait, Jules, engagé comme gendarme, participe à l’enquête policière. Sa recherche de la vérité se heurte rapidement aux efforts en haut lieu pour enterrer les zones d’ombre des années de l’Occupation. Tourné entièrement au Luxembourg et en langue luxembourgeoise, ce film met en vedette nos stars nationales de la scène et de l’écran, e. a. Luc Schiltz, André Jung, Jules Werner, Eugénie Anselin, Elsa Rauchs, Jean-Paul Maes, Jean-Paul Raths. (mlr) – La famille du cinéma luxembourgeois s’est réunie lundi 7 décembre 2015 à Utopolis pour célébrer les 25 ans du Film Fund, l’organisme de soutien à la production audiovisuelle. Une célébration marquée par la présence du Grand Duc qui a assisté à la séance académique ainsi qu’au partage symbolique d’un gâteau d’anniversaire. C’est le premier ministre et ministre des Communications, Xavier Bettel, qui a lancé les festivités. L’histoire du cinéma luxembourgeois aura été marquée, deux ans après la création du Film Fund, par le film de Pol Cruchten, “Hochzäitsnuecht” (1992), premier long métrage sélectionné au Festival de Cannes et lauréat du Prix Max Ophüls à Saarbrücken. Depuis, 25 films ont été présentés au Festival de Cannes et six d’entre eux ont été primés. Autre étape majeure: le premier Oscar raflé en 2014 avec le court-métrage d’animation “Mr Hublot” réalisé par Laurent Witz et Alexandre Espigarès. En 2015, le budget de l’Etat affichait une enveloppe de 33 millions d’euros pour soutenir la production de films. Au cours des 25 dernières années, ce sont ainsi 409 millions d’euros qui ont été investis dans la production de plus de 600 oeuvres audiovisuelles. Le gâteau du Film Fund attire de plus en plus de convoitises. Entre 750 personnes et 1000 personnes travaillent aujourd’hui directement ou indirectement pour le secteur, d’après les chiffres officiels du gouvernement. Des Assises du film luxembourgeois ont récemment été organisées pour revoir le fonctionnement du fonds. L’objectif est de miser davantage sur les projets initiés par des producteurs du pays.